The hectic schedules of modern life can make it hard for us to spend as much time with our children as we would like – and those same hectic deadlines and responsibilities can often exhaust our creativity. To help you out, here are five unique ways for you to spend more time with your kids at home. Nearly all kids love to help in the kitchen. Letting them help with actual cooking all the time may not always be convenient, so why not include them by assigning them in charge of your family’s breakfast toast, or let them set the table for meals? Set aside one or two meals or cooking sessions a week where the kids can be totally involved – perhaps a ‘Taco Tuesday’ or cake and cookie baking on Sunday. 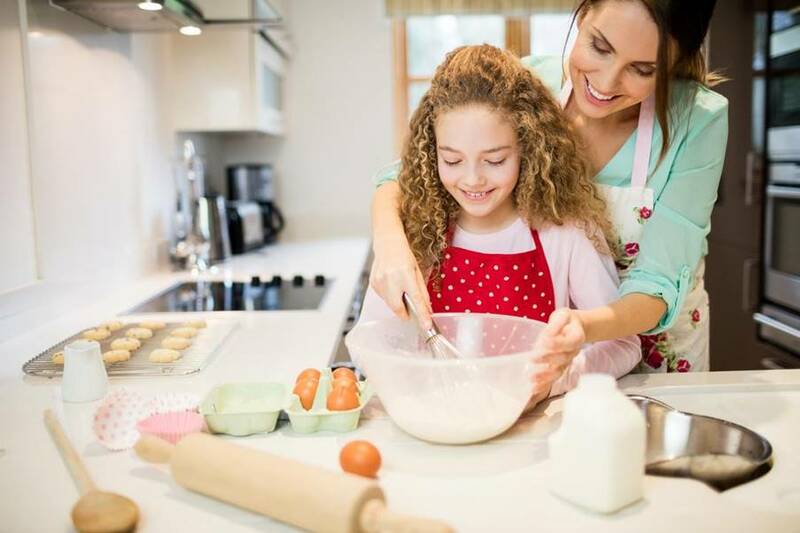 Take the opportunity to demonstrate kitchen skills to your child, explain the importance of eating healthily and about the properties of the different ingredients you are using. While learning how to cook delicious meals – and eating them – you will get to spend some great time together. Always make mealtimes a family affair, with everyone seated together around the table. This is one of the best times to share some quality time with your kids. DIY projects and home improvements are great ways to spend more time with your kids. Whatever the project, take the opportunity to explain what you are doing and let your children actively hold, pass or fetch things – you may be surprised how much assistance your little helpers can be. Participating in different home DIY projects will help to build your child’s knowledge and make them a more capable and confident person in the future – and you’ll have loads of fun working together and enjoying the satisfaction of seeing many finished jobs well done. After helping your kids out with homework, let them help with your daily house chores. Dusting and vacuuming are definitely more fun when done together! While you wash dishes, one child could dry them and another could put them away. Teach your kids how to load and unload the washing machine, fold clean clothes, and put them away after ironing. 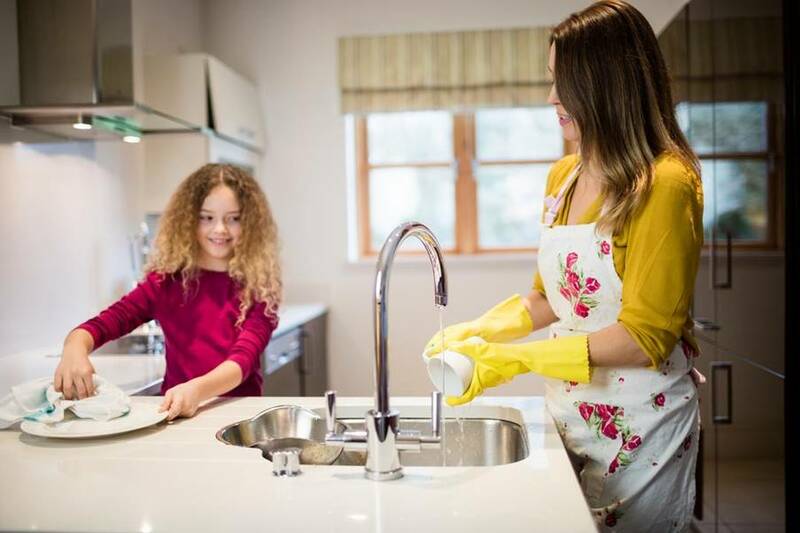 Getting your kids involved in the day to day running of the house will give you more extra time with them and help them understand and appreciate what goes into keeping a household running smoothly. Make the most of your garden and get outside with your kids as much as possible. If you have a grassy area without too many prickly weeds, get everyone to take their shoes off and to run around barefoot. Studies show that walking barefoot can help correct foot development in children and improve their balance and coordination, with similar benefits for adults who have already spent many years of their lives wearing shoes. Enjoy playing games together. 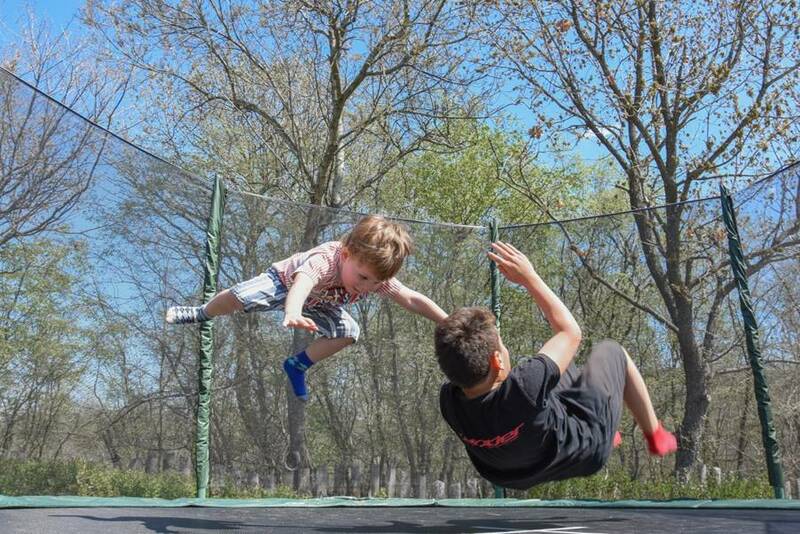 Get a trampoline for a fun time bouncing, build a stage for talent shows and performances, put out a tent and sleep under the stars, even if only in your backyard. There are loads of ways to spend more time with your kids at home that you can all benefit from. So, do it soon, they grow up fast! Include your kids in your daily exercise routine. You could wake them even just 15 minutes earlier, so they can join you in your morning stretching or yoga session. If your mornings are already stretched for time, you could try pyjama walks before bedtime during warm weather. Once your kids are washed, teeth brushed, and pyjamas on for the evening, pop them in a stroller or put their sneakers on and take a short relaxing stroll around the block. These peaceful strolls will give them a chance to calm down, and will be a great time to talk about the day past and about tomorrow’s plans. The fresh air and gentle exercise will also ensure that they get a good night’s sleep.